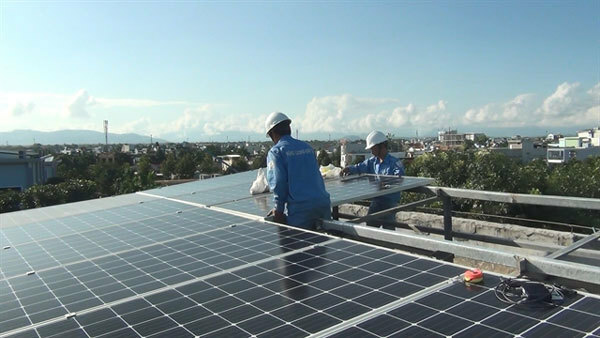 Rising concerns about the environment and livelihoods are setting barriers to developing solar energy in Vietnam, experts stressed yesterday. They were speaking at a conference entitled “Solar energy Viet Nam: grid integration challenges and opportunities” hosted by the National University of Civil Engineering Viet Nam (NUCE) and the KU Leuven Belgium, with the support of the Embassy of Belgium in Hanoi. The Government’s decision No 11 released in 2017, has created good conditions to accelerate the industry. He said 242 solar energy projects have been registered. Some 100 projects are at the stage of closing deals with Viet Nam Electricity (ENV) and 50 are due to come into operations. The buying price for each kW rises, from VND1,800 to VND3,000 (US$0.078 to 0.129). Environmental concerns including the rapid growth of population, urbanisation expansion, the diminishment of agricultural land for solar energy projects and impacted communities have posed challenges to solar energy projects in Việt Nam. Vietnam’s annual power consumption has increased by 10 per cent in recent years, putting the country at risk of power shortages in the future. Government has applied tariff incentives or renewable energy payments for solar power since 2017 in an attempt to accelerate investment in renewable energy. The fixed solar power price is set at VND2,086 ($0.08).